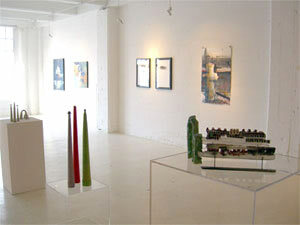 MMGalleries presents contemporary art by local, national and international artists. Through exhibitions and events, we provide a forum for artists, collectors, curators, and the public to experience art ranging from paintings on canvas and panel, to works on paper, photography, sculpture, mixed media and installation. Join us for one of our opening parties or consider our 3000 sq. ft. space as a backdrop for your private or corporate event. If you are interested in contemporary art, but don't know how to start building your collection, we will help you understand the large and often confusing art market. Please stop by for a chat with Marina or Kit and a look at our latest show and back room, which is always stocked with exciting works.